Hey everyone! Today has been a long day of studying for finals but I'm so happy to take a break to show you one of the funniest things I've ever received!! 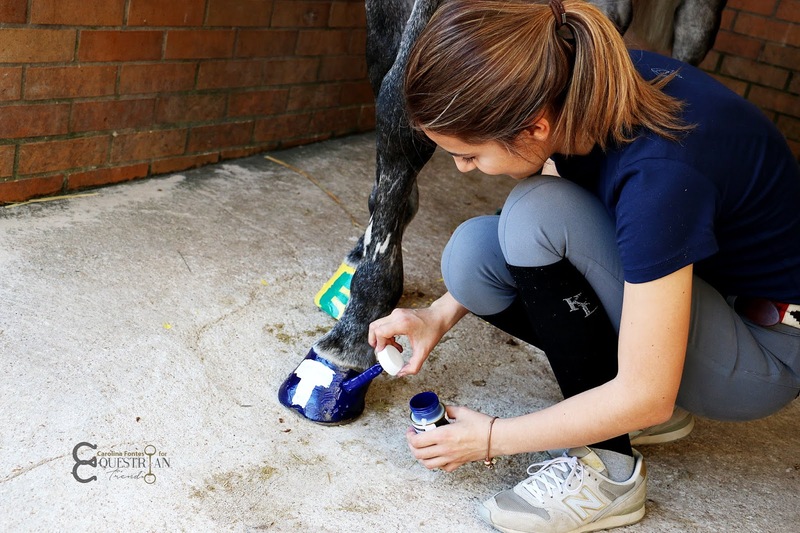 I'm talking about "Hoof Nail Polish" and it was very gently offered to me by Hoofbrite, a Swedish online shop that is 100% focused on...hooves! 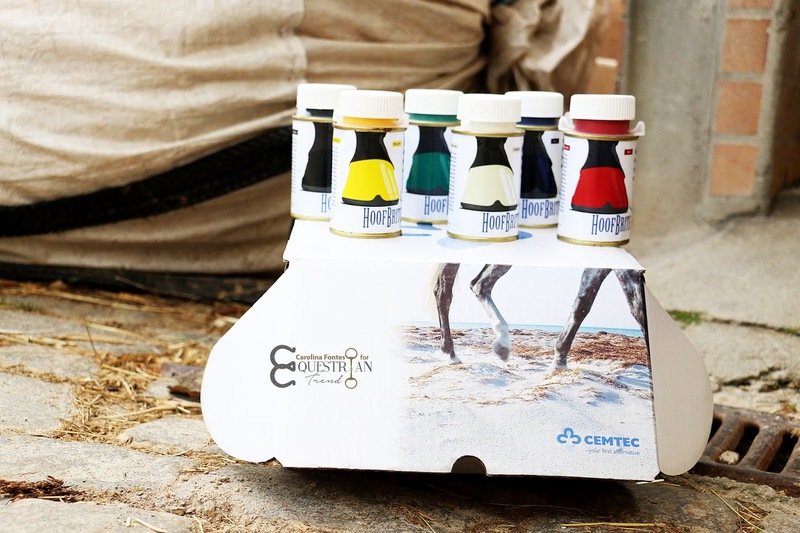 If you look to the photo above, you might recognise the name on the box...Cemtec is really well known for their horseshoes and I have seen a few farriers using them so it was a nice surprise to discover that Hoofbrite is related to them. In fact, on the cans you can actually read "powered by Cemtec". 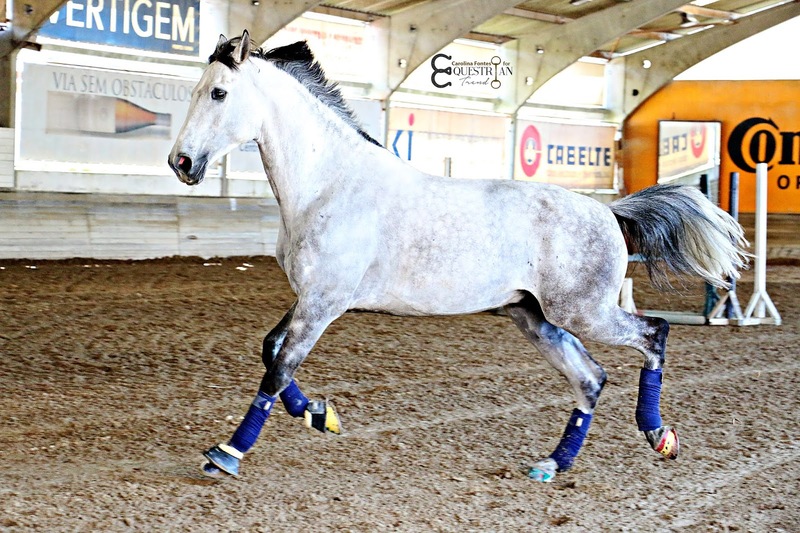 As I am being completely honest with you, at the beginning I wasn't quite sure if I wanted to use polish on Gali, after all he's my sweet horse and his health is a priority. Before accepting to review these, I made sure the ingredients were safe and that they wouldn't harm Gali's hooves - I even asked Hoofbrite if the product was safe... 😂 but they totally understood me and took the time to explain that the product is "water based with added keratin" - love when a brand really cares about my concerns! Moving on to my personal experience...first of all, I must admit that my painting skills aren't great but I really tried my best!! Regarding the polishes, my favorite color was navy (obviously!!!). The darker colors only needed one coat and the lighter ones asked for a second one - they didn't look very translucent but I was looking for a more opaque finish. 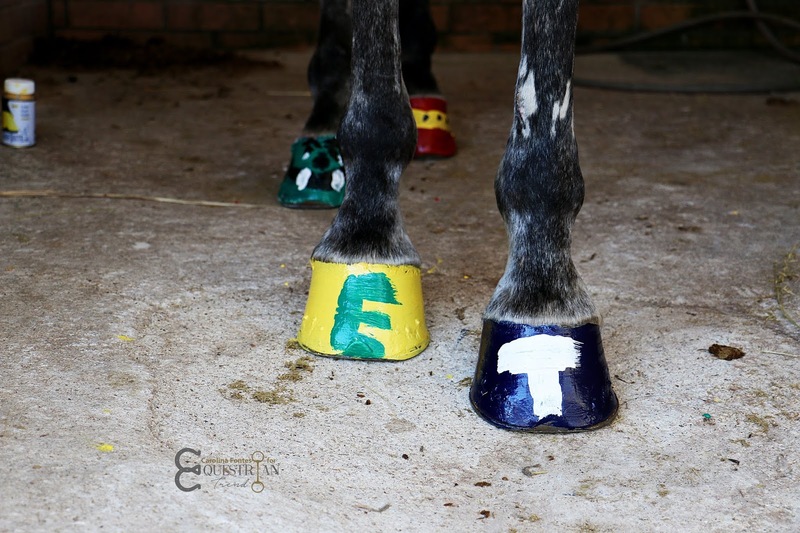 The polish dried quickly which was great because I used more than one color on each hoof and, even better than that, they didn't get sticky! As for the amount of product you get on each bottle, on Hoofbrite's website they claim that we can paint up to 16 hooves with one can but I think mine will last longer than that - I'll tell you once I've finished them. After painting the hooves, we took Gali to the indoor to see if the polish would stay in place or if it would naturally disappear. It vanished a bit on the parts of the hoof that were permanently in contact with sand but you could still tell they were painted. I was told that I could leave the product on but that I could also remove it with hot water, soap and a brush...I only needed cold water and a few seconds of scrubbing, much easier than what I expected!